Story-Shell is a community construction project commissioned by the Headlands Center for the Arts in 2012 as part of the Center's 30 year anniversary celebration and exhibition. 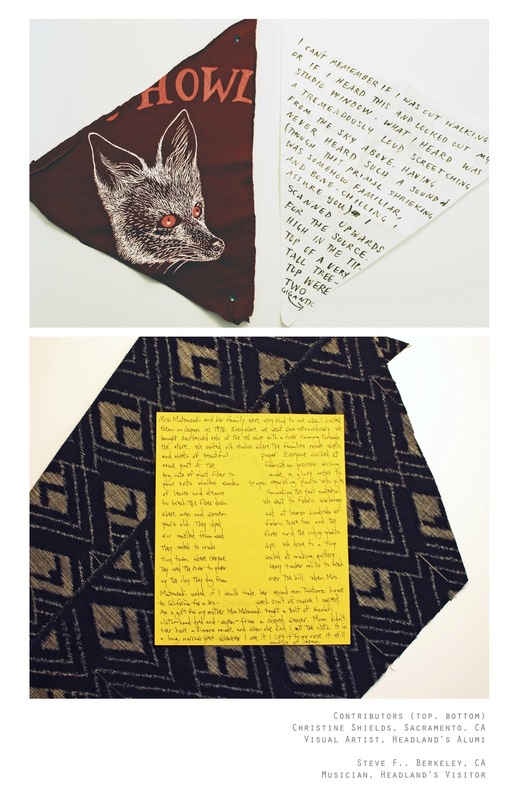 Participants received packages through the mail with handwritten instructions to return a piece of fabric according to a flexible pattern which would become part of the canopy for Story- Shell. Along with the fabric, people were also asked to submit stories of any length so that each patches that made up the canopy represents a story, illustrating how our individual stories come together to form a greater narrative, shelter and community. 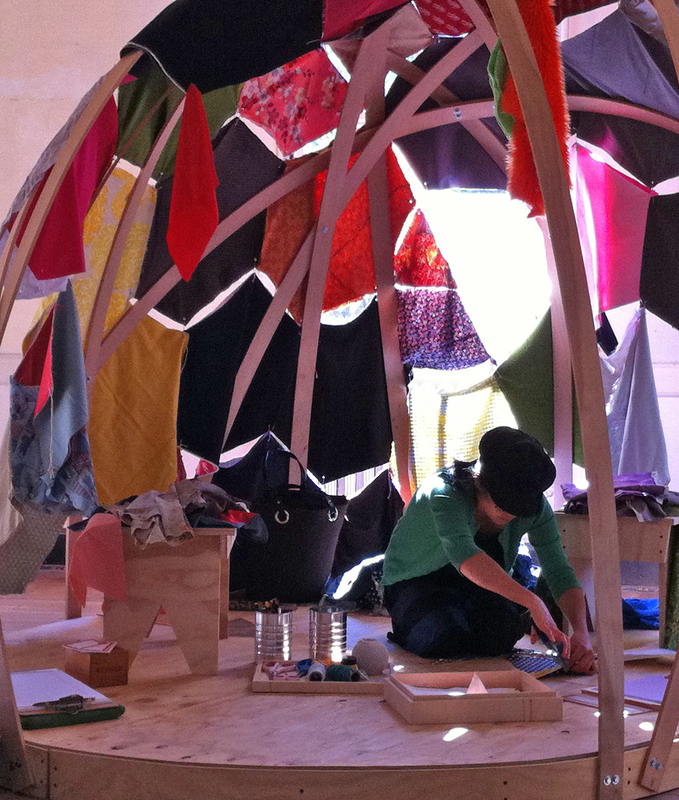 Cold bent beechwood, donated fabric, plywood, drawing and writing materials, grommets and grommeting tools, stories.